Wow! Seymour Simon’s SILLY DINOSAUR RIDDLES book app is today’s "Free App of the Day" on the Amazon homepage. Even if you already own this eBook app, go ahead and download it again today, because we have added fun new features like a Dinosaur Quiz (take it to check your dino knowledge!) and word highlighting. Click here to get it for your Android phone, and tell your friends! Seymour Simon’s new eBook, WHY DO PUPPIES DO THAT?, is now available as an app for the iPad. This "read to me" book is full of fascinating, real information about puppies, and you will also see some of the cutest puppy photographs we could find! It is on sale for $3.99 for this first week in the iTunes app store (through Saturday, June 4). Try it and let us know what you think! If you haven’t tried Seymour Simon’s SILLY DINOSAUR RIDDLES eBook yet, this could be the week! We are so pleased to be a Featured App in the Android Marketplace (thank you, Google!). And in honor of the occasion, we have lowered the price to $1.99. So, if you have an Android phone, pick up this very funny, eBook original today! I’m excited to tell my readers that one of my favorite books, ANIMAL FACT ANIMAL FABLE, is now available as an app in the Android Marketplace! This is a book that I did some years ago with a talented illustrator named Diane deGroat. I bet lots of you have read her books about Gilbert, like No More Teachers, No More Books. Can you believe this was the first book she ever illustrated? I remember that when she came to meet with me and my editor, she brought her cute little baby in a stroller! Anyway, I have always really loved this book, and I am so happy to be able to introduce it to a new generation of readers. It is both funny and full of real facts about animals. Anyone who has an Android phone can buy this book, which has "read to me" narration. It will be in the iTunes store soon, hopefully next week, for those of you that have an iPod Touch or an iPad. Did you know that Seymour Simon’s new eBook, SILLY DINOSAUR RIDDLES, is now available as a single app that you can buy for your iPhone, iPad, iTouch, or Android phone? And it has "Read to Me," too! Click here to see and hear a video preview of the eBook. Better yet, it is on sale, this week only, for just $1.99. Click on the "Comments" link at the bottom of this story to tell us what you would call a scared Tyrannosaurus! New Joke Friday and NEW JOKE BOOK! As our regular readers know, there is a new SCIENCE JOKE or RIDDLE every Friday on the homepage of SeymourSimon.com. This week’s joke: Did you hear about the dog that could do multiplication? Click here to see the rest of the joke. And since it’s New Joke Friday, we thought we’d let you in on some exciting news. Seymour Simon and his very funny illustration partner, Dennis Kendrick, are almost finished with a new eBook! Readers who are fans of the SILLY DINOSAUR RIDDLES book will want to be on the lookout for this one. It is more of your favorite animals jokes and riddles, this time about animals that you might find in a zoo. 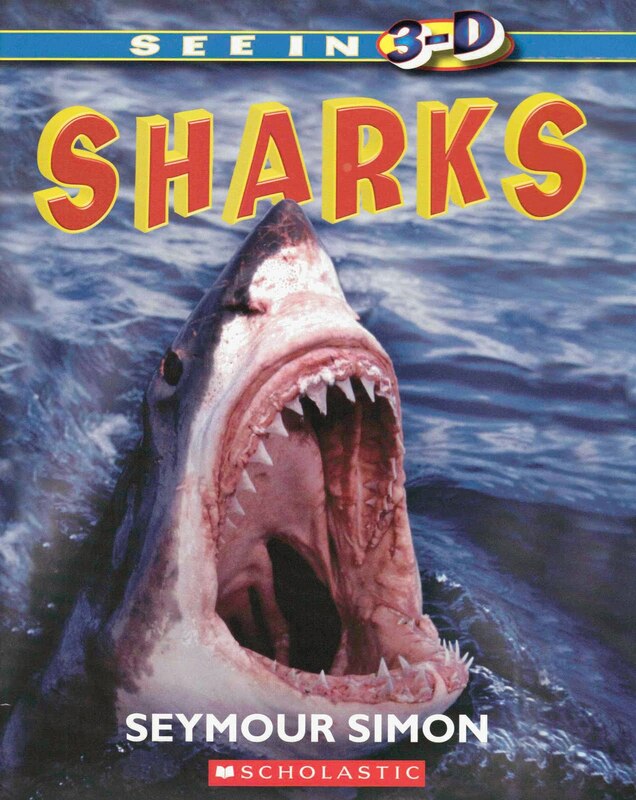 You will be able to buy this exciting new book, and lots of other exclusive Seymour Simon eBooks when you download Seymour Simon’s free mobile app for your iPhone, iPod Touch or Android device. And, there will be a new, enhanced version just for the iPad in the coming weeks. SILLY ZOO ANIMAL JOKES AND RIDDLES should be available in early May. Now you can see a preview of one of the original eBooks that you can download from Seymour’s new SCIENCE FUN TO GO app. At only $3.99, it’s fun and it builds early literacy skills for your favorite elementary schooler! CLICK HERE to view a sample of how the "Read to Me" functionality works for younger kids. We’ve also heard rumors that there may be some price discounting before Christmas. Keep checking back here (or on the app itself) for details! Wireless Mobile Apps for Kids…...in 3D?! Wow! One of the most exciting things we saw at the CTIA Wireless convention this week was today’s Keynote address. The panel speakers included Aneesh Chopra (the White House Chief Technical Officer or CTO); Biz Stone (co-founder of Twitter) and James Cameron (director of AVATAR). When the moderator asked Cameron what is most on his mind when it comes to wireless, he (predictably) said "Be thinking about your 3D apps, because this stuff is coming." 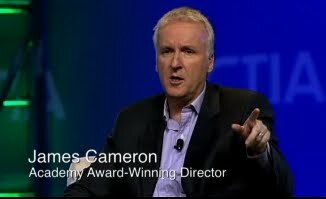 Then Cameron said something that blew my mind - I don’t know why I didn’t think of this myself. He said that you don’t need 3D glasses for a single-viewer experience on a small screen like a smartphone. You simply tilt the screen until the image comes into 3D focus for you. I’ve written ten 3D books for Scholastic Book Clubs, and they have been very popular with kids. The idea that I can do 3D phone apps, or 3D eBooks, is very exciting. For those reading this who are teachers, Scholastic’s Lucky Book CLub is featuring "See in 3D: SHARKS" and "See in 3D: UNDER THE SEA" this month, and will offer "See in 3D: WILD WEATHER" in their April 2010 flyer.